For the first time since it's been released in the United States, the Xperia XZ Premium's price has dropped well below the $500 psychological barrier. B&H Video is probably the first retailer in the United States to offer Sony's ex-flagship smartphone for just $470. Although B&H still lists the original retail price so it can show customers that they can save $230 when they buy the Xperia XZ Premium, this remains one of the best deal on the handset that we've seen to date. The new price probably makes the Xperia XZ Premium the cheapest smartphone with a 4K display, so if that's what you wanted all this time, you should seriously consider B&H's time-limited deal. 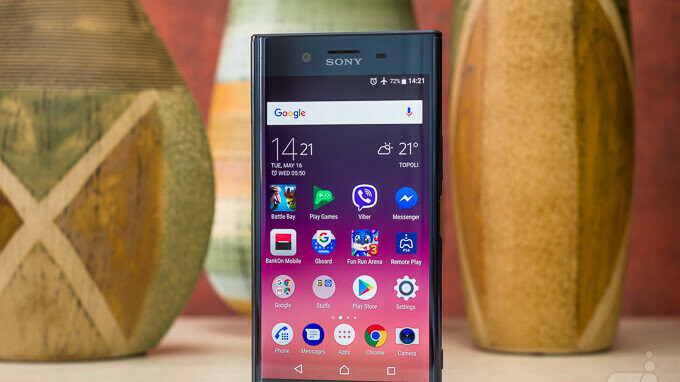 There's one caveat though since the unlocked Sony Xperia XZ Premium sold by B&H doesn't work on CDMA carriers like Sprint and Verizon, but you can definitely use it on AT&T, T-Mobile, and other GSM network operators in the U.S. This is a dam good price for a 4k HDR display (807 dpi) with a SD 835 and 4 GB of RAM, and 64 GB of storage. Excellent camera. Great for VR. $500 for this XZ premium vs $700 for an iPhone 8 with its low resolution display (326 DPI). It's a no brainer, the XZ premium is superior. Who told you it’s an HDR 4K display? It’s 1080P IPS that run files that supports HDR 4k not a full time 4K HDR Lol. Used the phone for 3 days only then return it back screen not as you think still not as good as iPhone or Samsung galaxy even not as good as latest Xperia XZ 2. What crack you smoking LOL? This is a 4k 120hz screen, this has been confirmed. Sony Xperia XZ Premium features a 4K (3840 x 2160 pixels) HDR10 screen, which the user can only take advantage when viewing content that is 4K and/or HDR (photos using the native picture browser & 4K videos using the native video browser). At all other times the screen runs at 1080p (1920 x 1080 pixels) natively to save battery. It's still the s**ttiest flagship I've ever used. For the reduced price, it's a good phone. It has a great screen and probably the best antenna I've used in a long time, letting me get lte where with previous phones I've barely had data connections. Been using it for about a couple months from when Best Buy reduced the blue and black unlocked versions to like $400 and the open box-excellents were only $330. Much better than B&H's price, which before I wouldn't considered it, but after using it's worth it.